Take a sneak peek into Summer's hottest property! Beautifully updated at the end of a private street in highly sought after Memorial Forest, zoned to Frostwood, Memorial Middle and Memorial High. Light filled dining and living space opened up in 2005 for fantastic entertaining flow. Recently updated gourmet kitchen features Quartzite counters, Stainless Steel appliances, large pantry, Butler's buffet and dry bar with wine fridge. Laundry with mud, powder and planning space with built in desk located off the kitchen. Generously sized private Master Suite with recently added abundant storage wall and luxurious bath with marble counters, flooring and stand alone tub with separate shower updated in 2016. Second downstairs bedroom and full bath with double sinks. Upstairs, find two large bedrooms, walk in closets, bath with double sinks and game room. 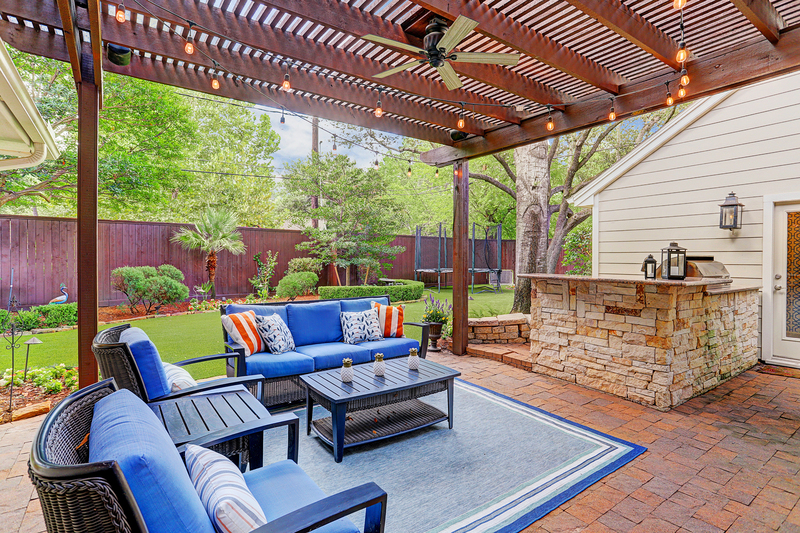 Step outside to living space complete with fireplace, Summer kitchen and Pergola. 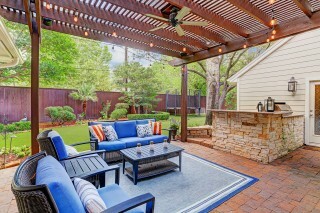 Recently installed turf and lushly landscaped large backyard with mosquito system is a dream! Double paned windows, recent Hardie siding, automatic driveway gate and so much more! All per Seller.